Fiddle Faddle is a clown at Ding-A-Ling Bros. Circus. He wears springs on his hands and feet and has springy eye glasses. 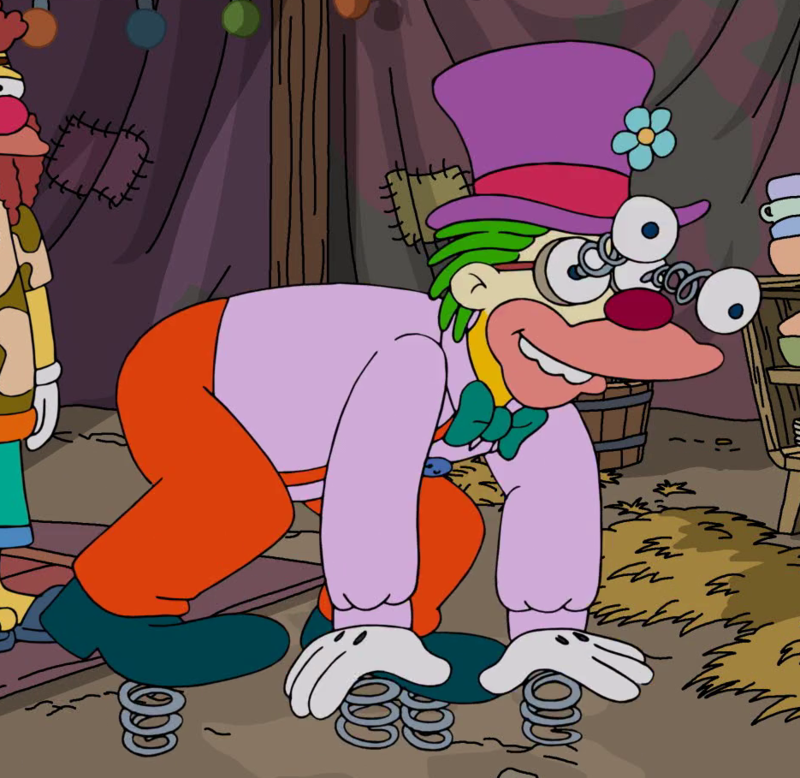 Fiddle Faddle was one of the many clowns that Scuzzo introduced to Krusty. He was seen around the circus a lot, performing in shows and helping out. Fiddle Faddle eventually left Springfield by train with the rest of the circus.